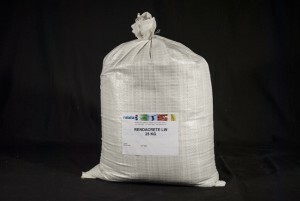 Rendacrete Lightweight is a concrete repair mortar. It is a polymer modified, premixed cementitious repair mortar containing fibres designed to give high build without the need for shuttering. This product is suitable for repairs to vertical and overhead surfaces without the material slumping. 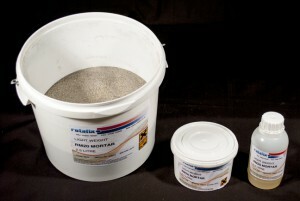 RM20 Epoxy Lightweight Concrete Repair Mortar is a structural repair mortar for repairs to reinforced concrete. This product can be applied at thicknesses up to 50mm in one application on vertical or overhead surfaces making large, deep repairs easy to undertake. High Adhesion (HA) Slurry Primer is a formulated acrylic powder cementitious based coating used to protect steel reinforcing during a concrete repair procedure. 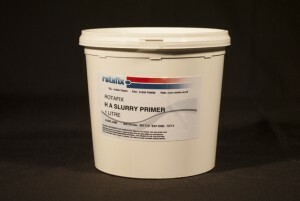 This fast setting slurry primer forms a protective coating on the steel and acts as a high adhesion base for other cementitious repairs products to be applied. 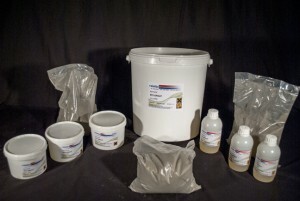 This powdered product is mixed with the required amount of water to form a high strength slurry or mortar water which may be subsequently underwater where it will cure without bleeding or disassociation. The resultant cured mortar is suitable for underwater repair of lock gates, as well as submerged stone and masonry marine structures. 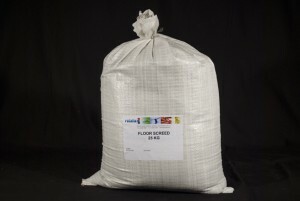 Rendacrete Industrial Floor Screed powder is a pre-mixed, ready to use polymer modified cementitious floor screed powder. 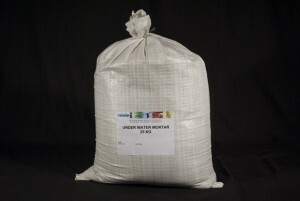 The compound contains a unique blend of special cements, graded silica sands, and a union of admixtures. 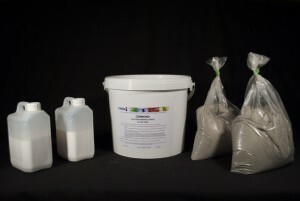 This powder when mixed with water, produces a mobile, self-smoothing and self-leveling screed which rapidly hardens to provide a strong bonding, high-quality durable cover to concrete. 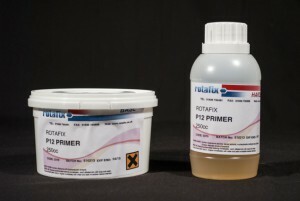 P12 Primer is a solvent-free 2-part unfilled epoxy liquid applied to the prepared concrete or steel surface to improves the adhesion of repairs mortars or screeds. 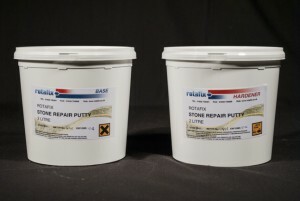 Stone Repair Putty is a 2-part epoxy that is easy to mould and shape by hand or trowel. When cured it may be sanded or mechanically shaped to give an individual surface effect and texture. 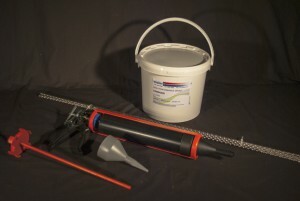 Making it ideal for repairs to craved stonework and masonry. Cembond Grout is a high performance, non-shrink, cement based grout, suitable for injection with a hand or power applicator. Cembond Grout develops its compressive strength rapidly and is suitable for bonding metal components into most common masonry-type substrates making it ideal for pointing and crack stitching. 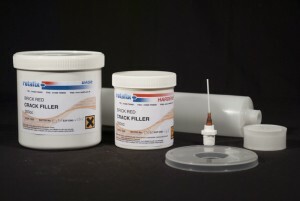 Repair fine cracks in stone, block, brick or masonry easily by injecting this 2-part structural crack sealer using the supplied flexible injection needles into cracks 0.2mm-12mm. EP3 Machine Bed Grout is a 3-part high strength epoxy system used for high-performance anchors and under bed plate grouting, particularly where high dynamic loads are involved. 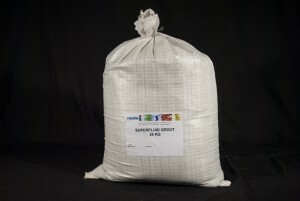 A pre-packed, pre-weighed powder that, when mixed with the specified amount of water, produces a non-shrink, high-performance flowable grout for establishing firm foundations under machine beds. 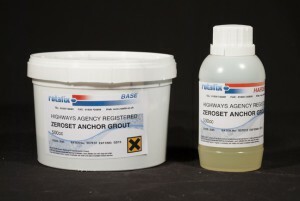 Zeroset Anchor Grout is a 2-part high strength epoxy system which is used for fixing metallic objects into concrete. Zeroset Anchor Grout has been specifically designed for setting at low temperatures in smooth-walled diamond drilled holes. This high-performance chemical anchor adhesive has Department of Transport (DoT) Approval for highway P1 – P4 type parapets and street lighting. 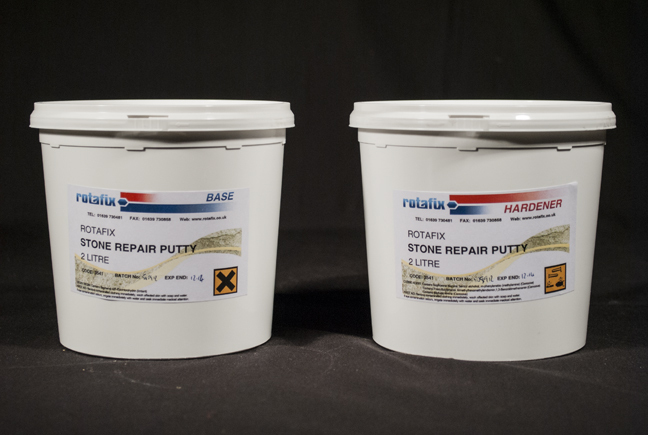 The Rotafix Masonry Stitching Kit has everything needed to make a professional repair to progressive cracks in masonry, brickwork, blockwork or stone. 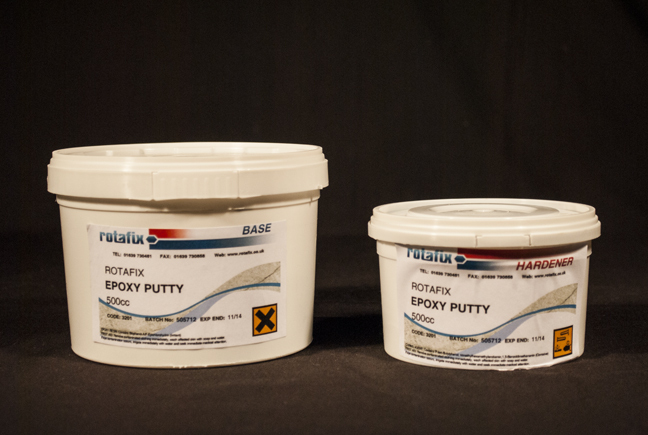 This product is a high strength, gloved hand mixed and applied, 2-part filled putty for repairing cracked pipes, fissures and leaks in most types of metal or stone constructed liquid containers.